"This book describes a truly unique approach to hybrid systems verification with logic and theorem proving." Hybrid systems are models for complex physical systems and have become a widely used concept for understanding their behaviour. Many applications are safety-critical, including car, railway, and air traffic control, robotics, physical-chemical process control, and biomedical devices. Hybrid systems analysis studies how we can build computerised controllers for physical systems which are guaranteed to meet their design goals. 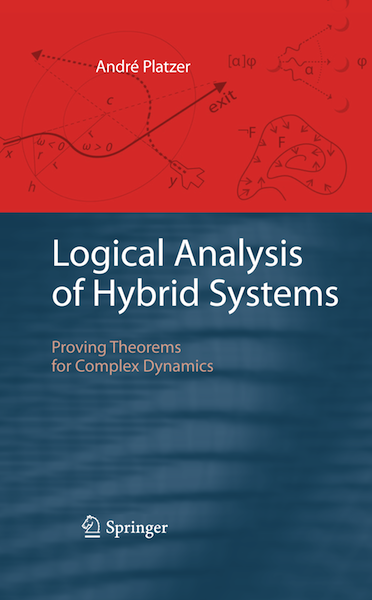 This is the first book that leverages the power of logic for hybrid systems. The author develops a coherent logical approach for systematic hybrid systems analysis, covering its theory, practice, and applications. It is further shown how the developed verification techniques can be used to study air traffic and railway control systems. This book is intended for researchers, postgraduates, and professionals who are interested in hybrid systems analysis, cyber-physical or embedded systems design, logic and theorem proving, or transportation and automation. There is a verification tool implementing the approach described in this book. This verification tool for hybrid systems is called KeYmaera and is available for installation. 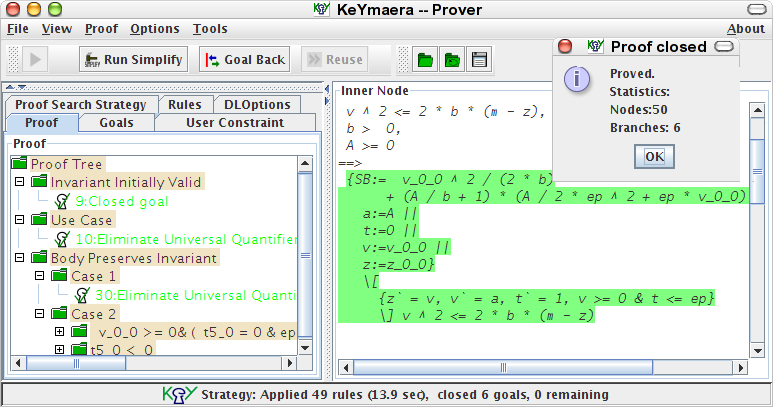 Verification tool KeYmaera for installation, which ships with a number of examples from the book. This book has appeared with Springer . 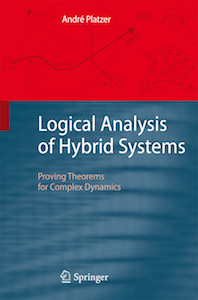 Logical Analysis of Hybrid Systems: Proving Theorems for Complex Dynamics. Springer, 2010. 424 pages, ISBN 978-3-642-14508-7. Published 2010-09-07.